Join us for our first Children’s Freestyle Jam of the year on 9th March 7pm-9pm. 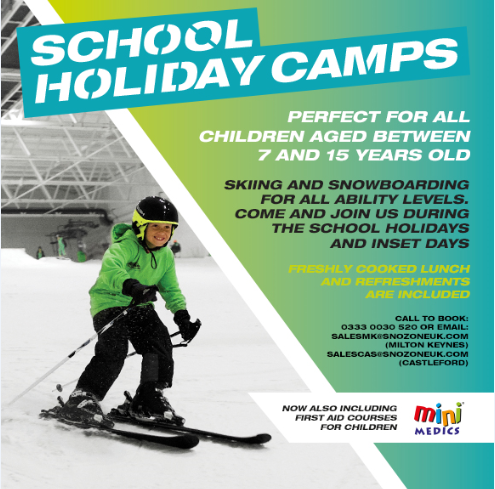 The event includes informal coaching and is designed for freestyle skiers and snowboarders aged 16 and under to progress and gain experience from. The Snozone freestyle coaches will set fun challenges and look for the riders having the best time to win prizes. The freestyle park has been designed with extra rookie features suitable for junior freestyle riders of any freestyle riding standard. In a true jam format on the spot prizes will be given out. To enter book a Children’s Freestyle Jam pass on 0333 0030520. Booking in advance is strongly recommended. £29.99 per junior, Member discount applies. Normal slope pass prices apply to all other freestyle guests.